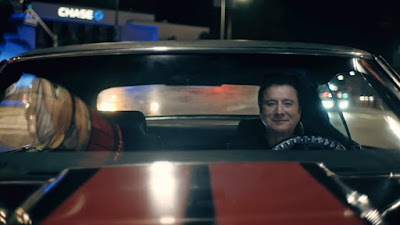 Directed by Myriam Santos, the clip features the singer driving a shiny, black ’70 Chevelle SS through the streets of Hollywood. “[Producer/songwriter] Brian West and I had just started writing the song and were sketching it out in the studio,” explains Perry. “When we broke for dinner, I went to this place down the street, and that was the first time I’d been in Hollywood in a long time. Arriving in sync with the release of the song to radio, the footage marks Perry’s first official video as a solo artist since 1994’s “Missing You”, and his first since Journey’s “When You Love A Woman” in 1996. The deluxe package is offered in a variety of formats, including digital, CD, and in two 180-gram 2LP vinyl versions, including one that features a collectible, limited-edition 3D lenticular cover.